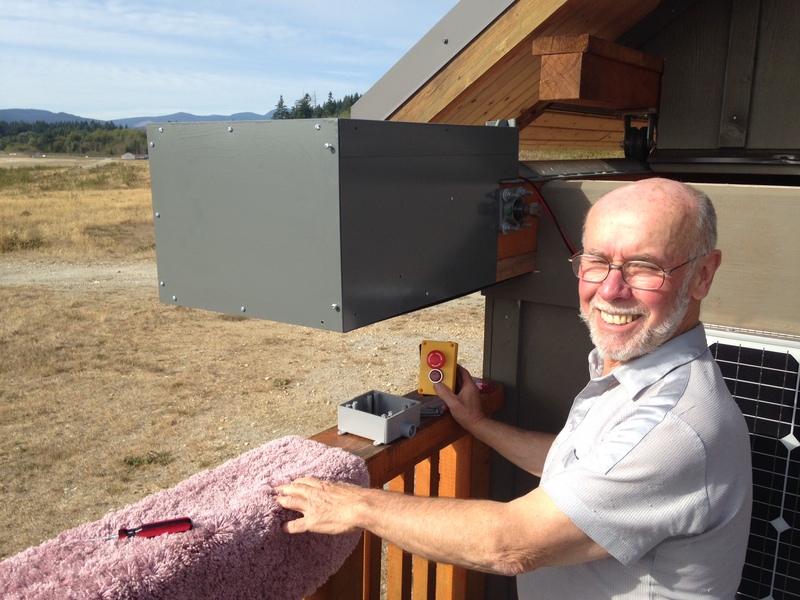 David is shown here putting the finishing touches to the cover he made to protect the roof opening/closing mechanism. It also keeps curious fingers from getting trapped. The electrical system with its safety interlocks is fully functional now and moving the roof is done by pushing a button. Very smooth! Those of us who were at the Botanical Garden event on sunday got to share views of several enormous sunspots or groups. On Monday I decided to try to get some images of these spots. 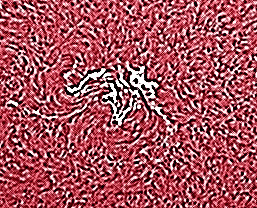 The image below is in Hydrogen alpha light and the sunspot group (AR 2674) is spread across the centre of the solar disc. 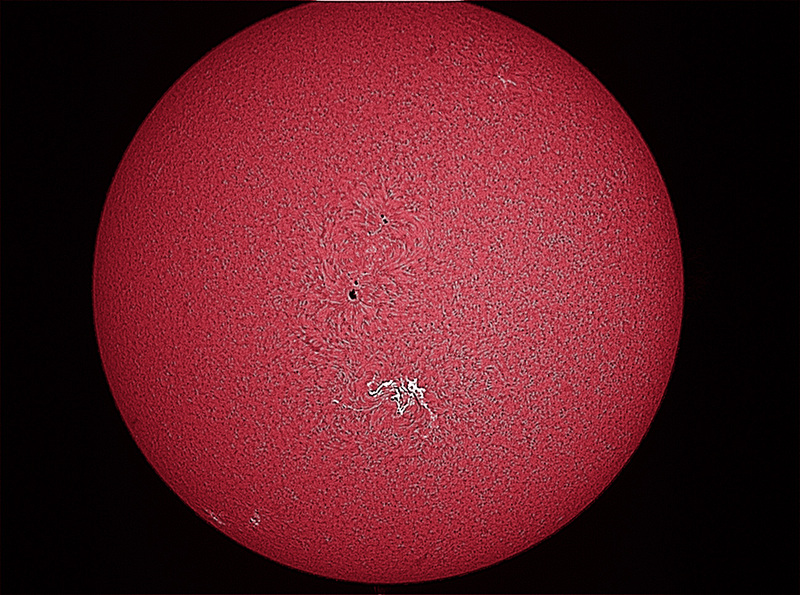 The more interesting sunspot AR 2673 is the one with the prominent white features. I took the image a couple of hours after this spot had discharged a massive coronal mass ejection earthward – unfortunately I wasn’t imaging at the moment the ejection took place. This sunspot has already been responsible for at least 3 major solar flares including the biggest solar flare for a decade, an X9. The magnified image reveals the currents seething and writhing in the plasma, driven by the suns’ magnetic fields. 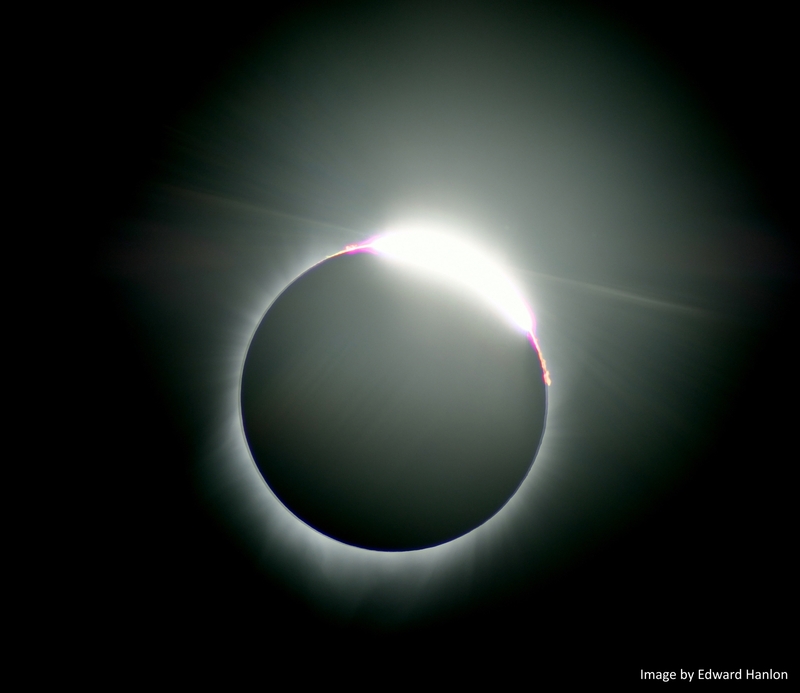 And here is a great image of the “Diamond Ring”, this time in colour with some of the solar chromosphere visible on either side of the diamond.